Crime Stoppers WA is targeting the Mid West region from 18 April for a two-week intensive Dob in a Dealer drug campaign to gather information for WA Police intelligence about local drug dealing activity. Local residents are asked to report information about the manufacture and distribution of crystal methylamphetamine (‘ice’) and other illegal drugs. Crime Stoppers WA Ltd Chief Executive Kim Harrison said people can contact Crime Stoppers to anonymously identify drug dealers and help to reduce the supply of drugs in this area. WA Police Mid West Gascoyne District Superintendent Mike Bell said the ice scourge needs a whole-of-community response, and this campaign empowers community members to play their part by providing reports on untoward activity. 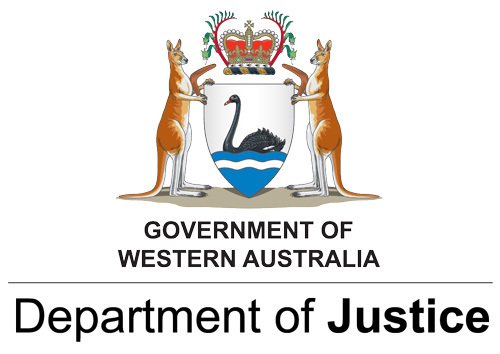 City of Geraldton Mayor Shane Van Styn said the use of ice is linked with aggression and violence by some users, which is a risk to the whole community. Making a report to Crime Stoppers is easy and completely confidential. Every piece of information people provide can assist in solving crimes and reducing the supply of drugs. 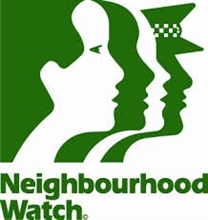 Local residents often hold the key to information that can help reduce crime. 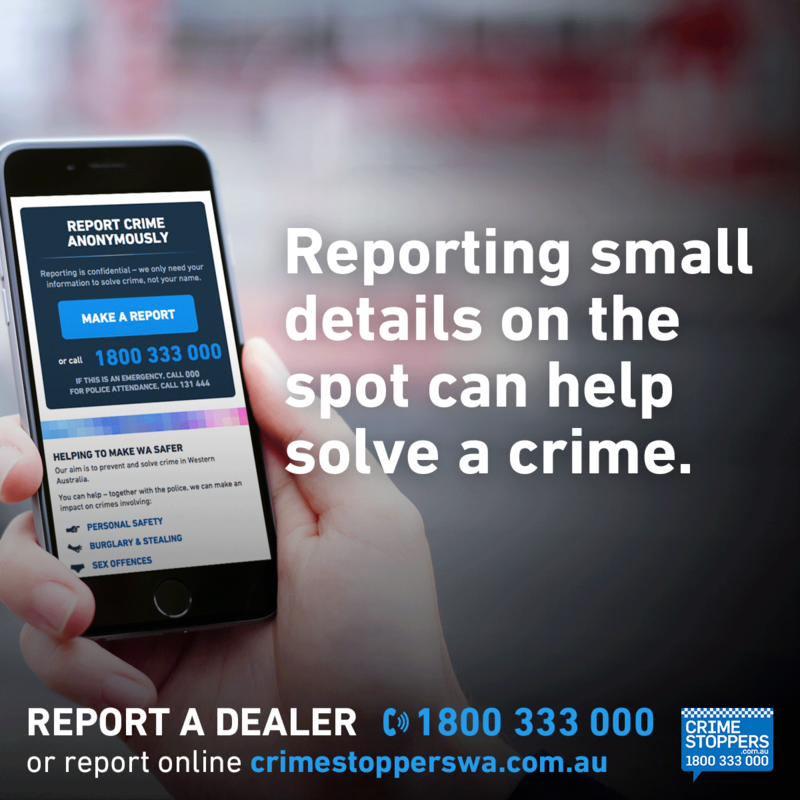 If they think they have information about someone in their community who is manufacturing or supplying drugs, they are encouraged to call Crime Stoppers on 1800 333 000 for a confidential conversation, or report online securely at www.crimestopperswa.com.au. 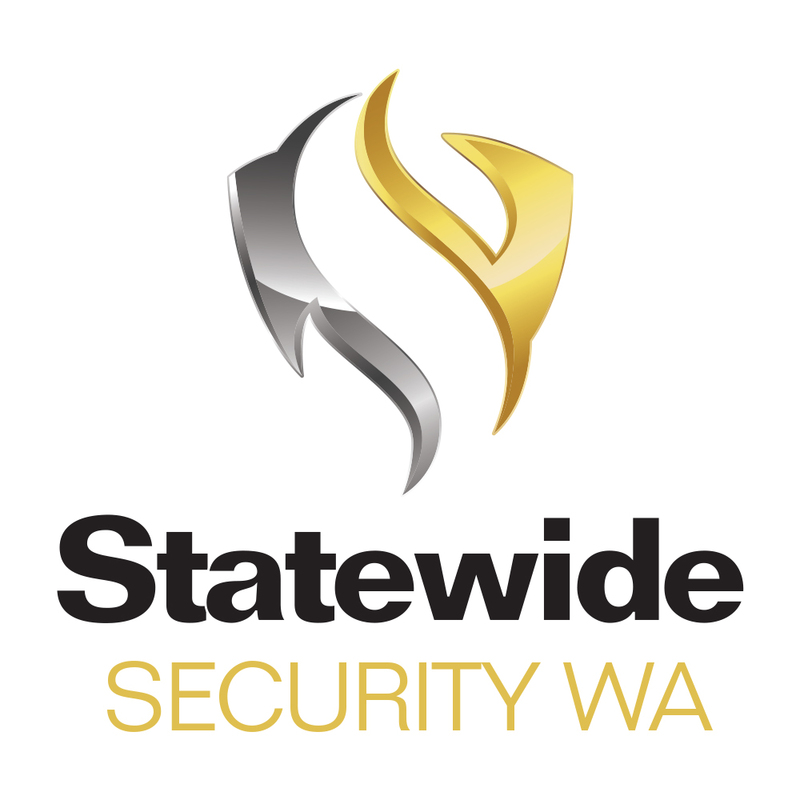 Crime Stoppers WA Ltd is a not-for-profit organisation working closely in partnership with the WA Police to empower community members to report suspicious and criminal activities. Over the past 21 years, members of the public have made more than 300,000 crime reports to Crime Stoppers at an average of 140 contacts per day. 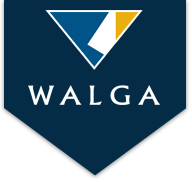 These reports comprise about half of WA Police intelligence information. 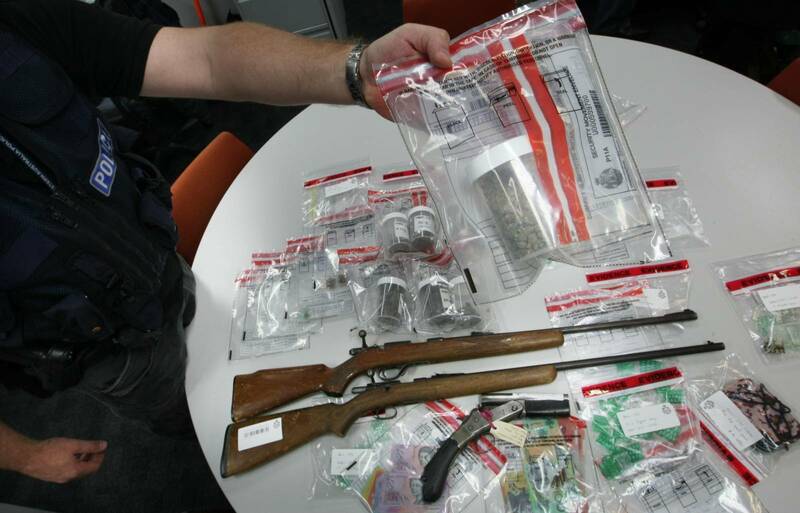 “Crime Stoppers is committed to working with WA Police, the media and local residents to gather anonymous information that can help to reduce drug supply and drug related crimes and help keep the community safe,” said Mr Harrison. 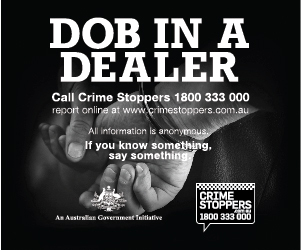 The national Crime Stoppers Dob in a Dealer program is funded by the Australian Government. If you or someone you know is affected by drug use or addiction, please contact support services such as Family Drug Help on 1300 660 068 or Youth Support and Advocacy Service on 1800 014 446.